Know your obligations and protections under the law. 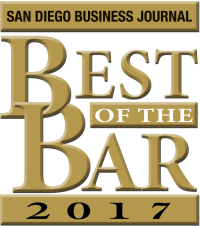 San Diego Tax Attorney William D. Hartsock offers this advice. It is critical to know your rights before turning any information over to the IRS or responding to IRS nocice CP12E. San Diego Tax Attorney William D. Hartsock offers this advice. It is critical to know your rights before turning any information over to the IRS or responding to IRS notice CP12. San Diego Tax Attorney William D. Hartsock offers this advice. Why did I receive a CP10 Notice from the IRS?